UPDATE: July 12, 2012 – The police have announced that Marissa has been found. 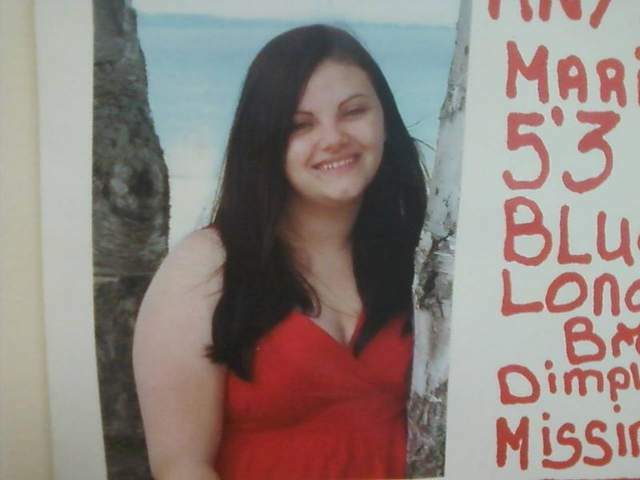 Marissa Lorene Bolles, 16, from Lansing, Michigan went missing on July 8. She was last seen leaving her home at 2700 Eaton Rapids Road in Stonegate Mobile Home Park some time between 6:30 and 7 a.m.
“Although we have and continue to develop excellent leads, we have exhausted our resources and are asking the public for help,” said police. Bolles was reported as a runaway because she has done it three or four times over the last few years, but new info about a man from Rome, New York whom she may have met on the Internet has led them to believe this is a possible abduction. Marissa left barefoot, which also causes the police to believe she may not be a runaway. The Sheriff’s office is working with the Michigan State Police and FBI on the case. He said anyone with information can call an anonymous tip line at (517) 272-6033. Wilx in Lansing says she has been found alive.